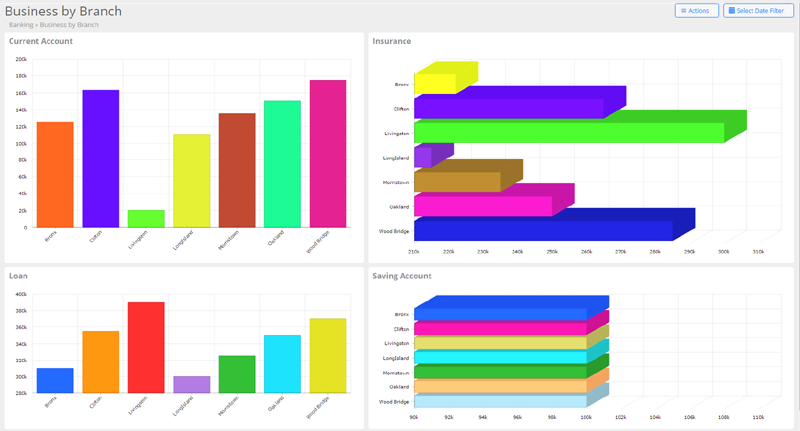 Using Elasticview BI for banking dashboard gives you the chance to track branch operations automatically calculate a wide range of figures, allowing you to create accurate forecasts every month. 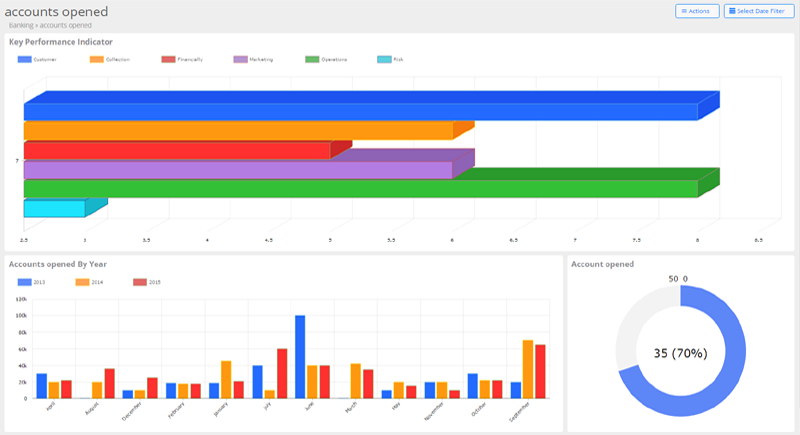 What’s more, your management and executive team can have access to your dashboard, so they can get the figures they need when they need them, without having to wait for a monthly report. With the ability to analyse a wide range of risks, you will have the opportunity to understand different areas of the business. These areas include general operations, credit markets and so much more. You can then look at the data and view patterns which will indicate risks, so you can predict a variety of outcomes. The dashboard will also present you with ‘What-if’ data, which will help you to prepare for almost any scenario. 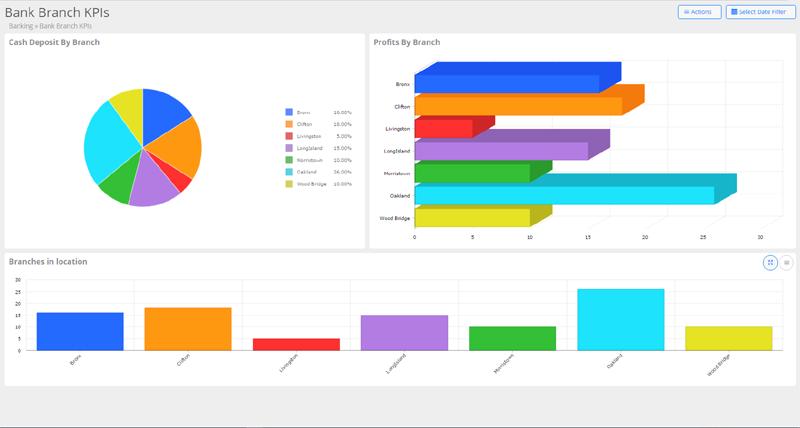 Once you have decided to make use of one of our dashboards, your reports will become a little more exciting and accessible; other company executives can view the data that relates to them, as and when they need it, without having to rely on copious amounts of paper with a load of figures scribbled on them. This method will help you and your colleagues monitor your data and your progress, so you can clearly see how the business is performing, with just a few clicks of the mouse.